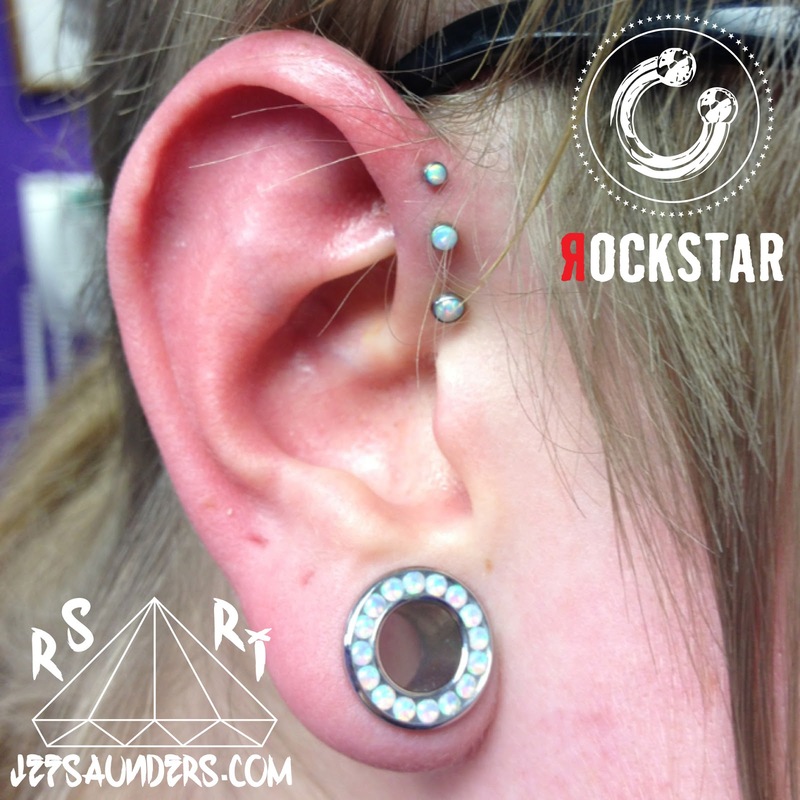 A fresh triple forward helix piercing by Jef. Top two piercings are Jef's bottom piercing is a healed piercing by "Wild" Bill Krebs (R.I.P.) of Pleasurable Piercings in New Jersey.